The image of large, black, insectoid eyes has haunted me since I was a child. Avidly consuming early nineties media about alien abduction firmly burned the image of the so-called “grey alien” into my young mind. I would imagine seeing them everywhere. They could be lurking behind any window at night, peeking around any open closet door, or peering at me from the tall grass or between trees in my wooded backyard. I would dream about them showing up. One particularly vivid dream involved me waking up to my brother’s crying. We slept in bunkbeds at the time and I heard him whimpering and sobbing below me. As I peeked over the edge of the bed, I saw a small, spindly Grey watching him. In a moment of bravery and youthful bravado, I jumped over the edge of the bed right on top of the intruder, grabbing one of its huge eyes in my tiny hands and peeling it clean off its face, evoking a scream from the creature that I have never forgotten. The eye turned out to only be some sort of shield or visor. Underneath was an array of tiny red and green lights, like a field of stars. The memory of that dream stops there, gazing into the void of this screaming phantom’s destroyed eye. This dream came back to me recently when I was looking up some information about Derrel Sims, mostly to have a laugh at some of the silly images that pop up when Googling him. On the page for Fade to Black radio about Sims, there’s a small image of a Grey with an eye exposed to a sort of red field with white dots around it. This resembled my dream memetically, if not the same in actual detail. In one case he investigated he told me that the woman struggled with a creature that had the same round eyes as his abductor. She managed to fight back and knocked out one of the alien’s eye shields, revealing its structure which was composed of five separate areas with little lines moving back and forth across the eye. On another occassion, when I was 12 or 13 years old, a friend spent the night at my house. We slept in my room – by that time my brother and I had seperate rooms. That morning, after breakfast, he seemed nervous. When pressed, he told me that he’d woken up that evening and saw me sitting up in bed. Next to me was a Grey. We both looked down at him – he was in a sleeping bag on the floor – and I said to him in a completely monotone voice, “it’s okay, go back to sleep now.” At which point, he did exactly as I told him, and remembers nothing past that. I honestly don’t know what to think of that account, or the constant dreams I had as a child. I’m still nervous at night, I still expect to see that face peering at me through a window or open a door and see it in the hallway. I have no conscious recollection of an actual abduction event, and none of the dreams I had involved me ever actually making it into a space outside of my house or bedroom. It’s entirely possible that these nightmares were simply a manifestation of my own anxieties and phobias. The boy who told me he saw me sitting next to the Grey went on to tell me lots of other fantastical stories over the years; many, if not all of them I heavily doubt. I also have my doubts about the abduction experience occuring in physical reality. As someone who’s had numerous consciously controlled out-of-body experiences, and who has read numerous reports of these anomalous contact experiences occuring to people while they are under the effects of entheogens, I have a strong feeeling that this experience happens on some different plane of consciousness. But, let’s just humor the idea, for a moment, that the Greys are a physical, flesh and blood creature. What kind of inferences can we make from their biology, and what would the implications of that data be? While the image of the Grey “alien” seems bizarre and otherworldly, in the grand scheme of biology it is not. They are firmly and strikingly mammalian, having the same basic body configuration as every other primate on this planet. Imagine, for a moment, that you covered the body of a Grey in fur of some sort. Would they appear all that different from other simian species? Even their faces are not totally unique and alien to our known animal kingdom. 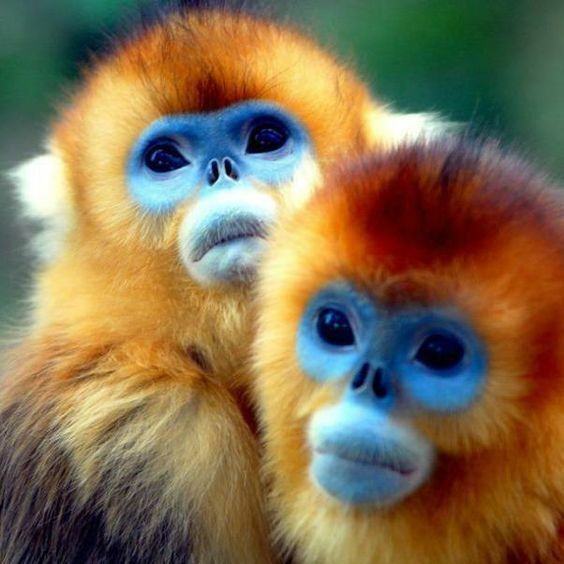 Look at this image of a golden snub-nosed monkey. Doesn’t it seem slightly familiar? Tetradactyly (from Greek tetra-=”four” plus δακτυλος = “finger”) is the condition of having four digits on a limb, as in many amphibians, birds, and theropod dinosaurs. Some mammals also exhibit tetradactyly (for example pigs and the hind limbs of dogs and cats). It is interesting that the tetradactyly is a condition most commonly found in birds, and formerly in dinosaurs, given that many reports of the Greys mention their “reptilian” skin or just flat-out say that they were reptilian in nature. The lack of pigmentation in the skin and the large eyes could also be indicative of a subterranean existence or adaptation. This idea isn’t new, as this article explores. The pale skin could be due to a lack of melanin, not needed due to the lack of damaging UV. Large eyes could indicate either a primarily nocturnal existence, similar to other large-eyed animals such as tarsiers and owls, or it could also be an adaptation to a primarly subterranean lifestyle. Whatever they might be, it should be obvious that the Greys are far too similar to lifeforms we can find right here on Earth to be extraterrestrial. People might cry that we’re witnessing some form of convergent evolution that occurred on different planets, but frankly Occam’s Razor shreds that right up. It’s much more simple and much more likely to posit that the Greys are from Earth, just like we are. The common narrative of abductions even includes the meme of hybridization and a story that the Greys are a “dying race” that need our genetic material to survive. This would not make even the tiniest smidgen of sense unless we were close genetic relatives. It would, however, make total sense if they were some sort of tiny, inbred branch of our genetic family tree. As the aforementioned article reminds us, UFOs are commonly seen entering and exiting the ocean, lakes, rivers and into the very earth itself, sometimes even being spotted near volcanoes, such as during the eruption of Grímsvötn in Iceland in 2011. All this seems to indicate an origin that is more intraterrestrial than it is extraterrestrial. The Shaver Mystery, the tall tales about Dulce and other underground bases, the strange story of the Green Children of Woolpit, the mythical city of Agartha: you need not look far to find that the meme of an underground race of technologically advanced beings permeates our popular culture and mythological framework. What if, instead of watching the skies, we should be watching under our very feet? Evidence is mounting for the existence of a staggeringly large underground ocean, far larger than the oceans on our surface. Given the propensity for UFOs to be seen in and around water, is it not possible they this subterranean ocean could be used as a super highway of sorts? In the end, I still have serious doubts and misgivings about the physical reality of beings such as the Greys and tend to lean towards the idea that they are simply another denizen of the spirit ecology that surrounds us. Whatever they are, I’ll never forget that ocean of light I once saw behind that dark eye.